Maurizio Sarri has become quite a controversial figure both within Chelsea and the Premier League, to the point that even his rival managers are coming out to defend him. His intransigence when it comes to maintaining a formation and a starting lineup has annoyed a lot of Chelsea fans, who want to see N’Golo Kante back in his best position and some other tweaks to the notorious “Sarriball” system. “I see Chelsea and I can understand what they want to do. And after I see them, they do it,” he said in quotes carried by Sky Sports. “They have a chance to be champions – nine points [behind] but a lot of games to play,” he went on. Well that’s a bit much Pep, nine points is insurmountable at this stage. But we appreciate the thought. The more important part we can consider is what came before. 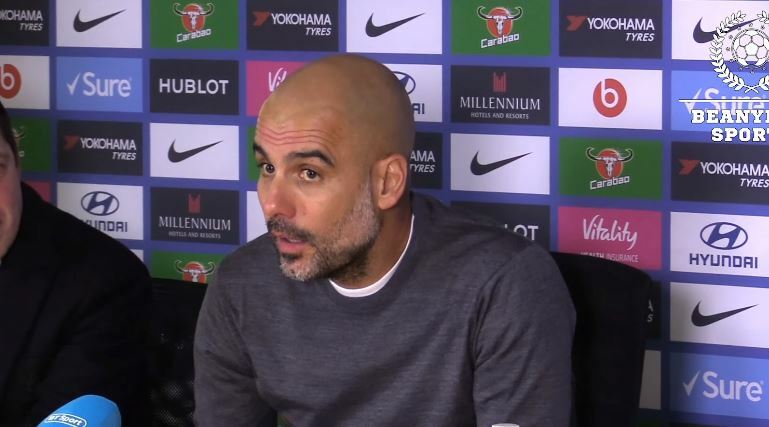 Many people would not agree that you can see what the team want to do when they’re on the pitch, but, I guess if Pep says he can see it, who are we to argue? The two managers face off tomorrow at the Etihad Stadium.